What Information Do You Need about Funeral and Cremation in North Caldwell, NJ? When you begin the process of planning a funeral and cremation in North Caldwell, NJ, it always starts with learning more about the industry. This information is important so that you understand your options. Then, you will be able to choose the services that match your desires. Do you want to have a large funeral with many friends and family in attendance? Or, do you prefer a small memorial with only immediate family members and close friends? It’s up to you to choose the services that honor the life and memory of your loved one. You can evaluate your options, then design a day that is the perfect fit for your family. 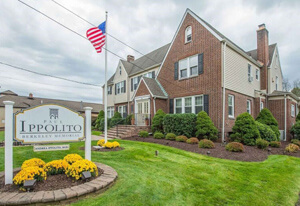 At Paul Ippolito Memorial, we believe that every family should have access to quality services. We provide these excellent services regardless of religion, background, relationships, lifestyles, and more. Our goal is to make sure that you have the care and support that is needed to design a unique, beautiful funeral service. Where should you look when you need more information about these services? You can find many websites that offer information about funeral planning. But, the most effective solution is to find a team that offers services in your area. 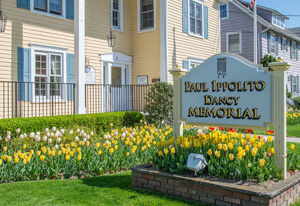 Our team at Paul Ippolito Memorial has designed a website designed to accommodate your family. You can read through the pages on our site to view information about the various services that are offered. Another option is to use the online planning tool that we offer. This system is designed to walk you through all of the options that might be included in your funeral plan. We are working to make it as easy as possible to create the funeral that honors the life of your loved one. So, you can rest assured to know that we are always here to simplify the planning process and support your goals. Finally, don’t overlook the benefits of scheduling a conversation with an experienced funeral director. You can talk to our team to determine the services that align with your preferences. We never push you into funeral services that aren’t a good fit for your family. Instead, our goal is to provide information so that you can choose for the options to create a custom funeral plan. It is always a safe, supportive conversation when you choose Paul Ippolito Memorial. What Funeral Services Do You Need? What are your preferences for funeral planning? Two main things need to be considered. First, you need to evaluate the way the event will be designed. We can help you choose a location and determine the group size that will match your preferences. Our funeral home facilities can be used if desired. We have large and small meeting rooms to ensure that you are always comfortable. Another option is to plan the funeral at a different location. We can provide the staff and support that is needed when a funeral or memorial is scheduled at a church or a different location. Our goal is to listen to your requests; then we will work through the details to ensure that everything accommodates your needs. Finally, you need to determine the care for the body. Some families choose to have the deceased embalmed for viewing or visitation. After this gathering, the funeral can be held, followed by burial or cremation. Or, you might choose immediate cremation to avoid the need for embalming. The cremated remains can be present in an urn at a memorial or Celebration of Life. Or, you might choose to scatter the ashes at an outdoor location of your choice. As you can see, there are many options available for your funeral services. The best thing that you can do is schedule a consultation with our staff. We want to help you choose the solutions that create the perfect funeral plan for your family. 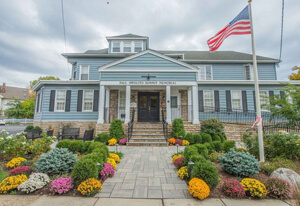 The cost varies depending on the services that are chosen for funeral and cremation in North Caldwell, NJ. If you keep things simple with a direct cremation and no funeral, then the costs will be the lowest. Then, the price goes up depending on the additional services that are requested. We offer transparency with our pricing structure, making it easy for you to manage your budget.